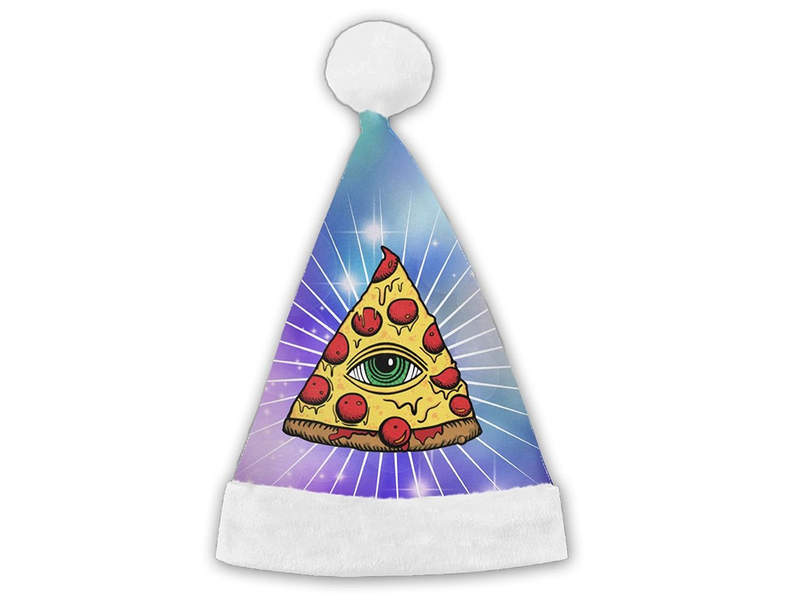 Pizza, donut, and avocado hats help to make the season bright. 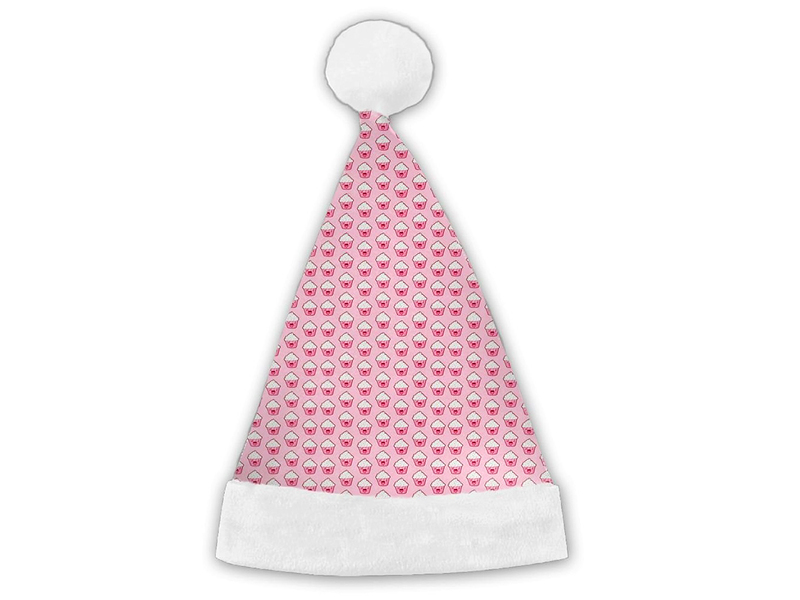 If your version of Christmas spirit is a little bit more Santa Claus' Christmas magic than ugly Christmas sweaters and heavy drinking, then a Santa hat is probably your best bet as far as holiday apparel. 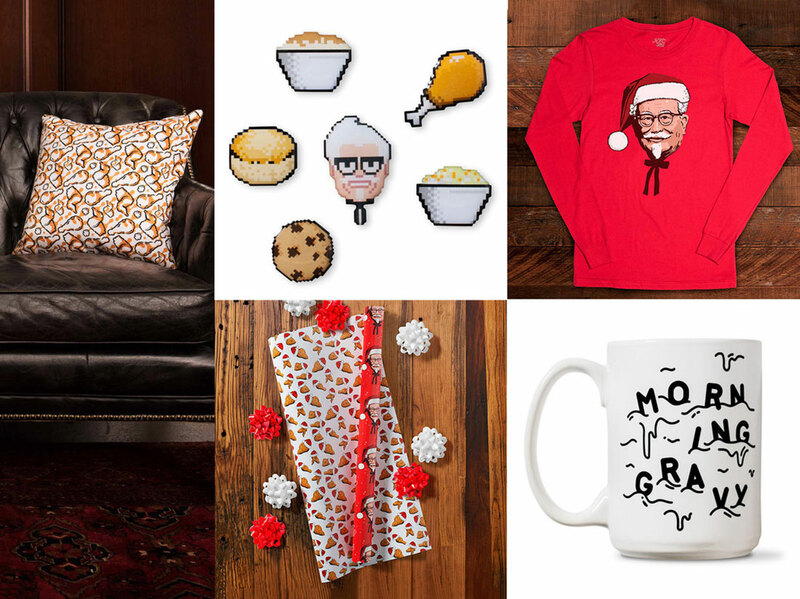 If you want to set yours apart from all the other Santa hats while showing off your love of food, these quirky hats available on Amazon have you covered. 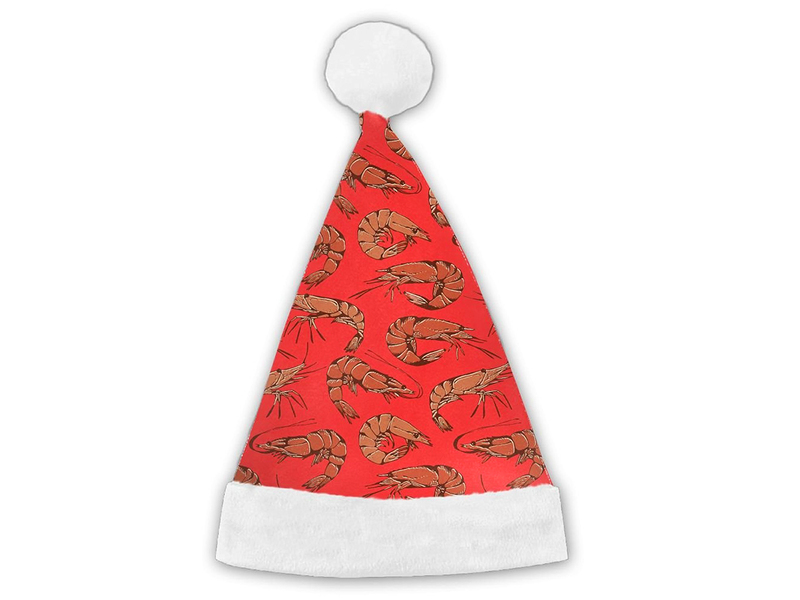 If you love Christmas almost as much as you love cocktail sauce, this shrimp Santa hat is for you. We're pretty sure that this "I Love Tacos" hat is what Santa wears when he's tired of all the milk and cookies. 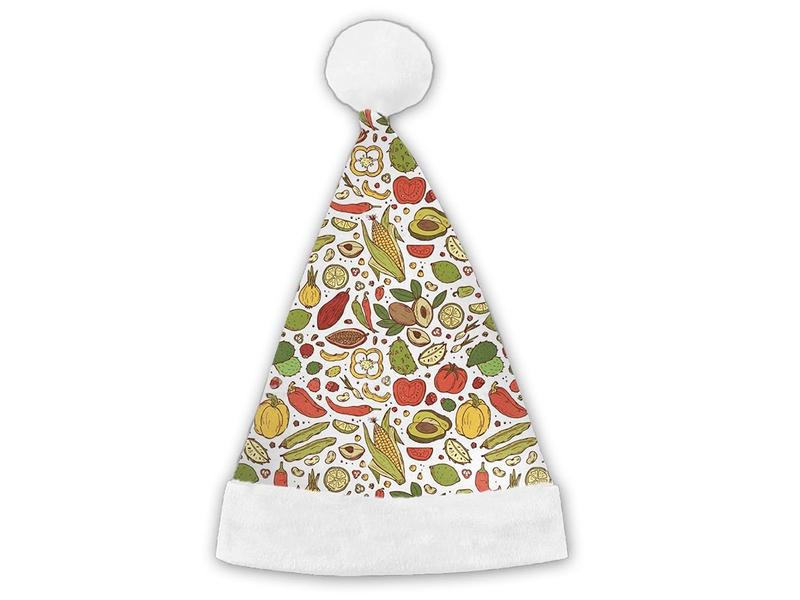 Maybe sometimes Santa's not as picky—according to this printed hat, as long as the meal involves lime, avocado, peppers, and corn, he'll probably be satisfied. 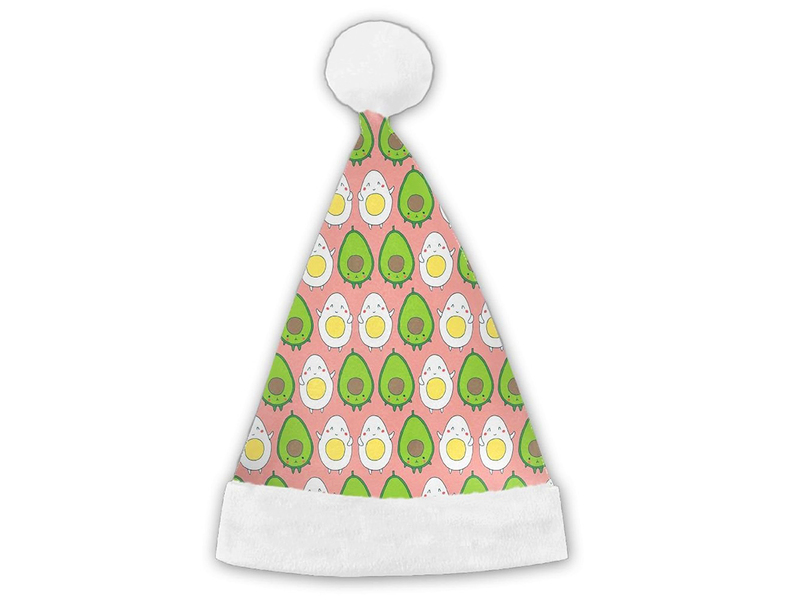 Speaking of avocados, this hat, printed with smiling, blushing avocados and eggs, is absolutely adorable. It's the perfect hat to wear to breakfast on Christmas morning. 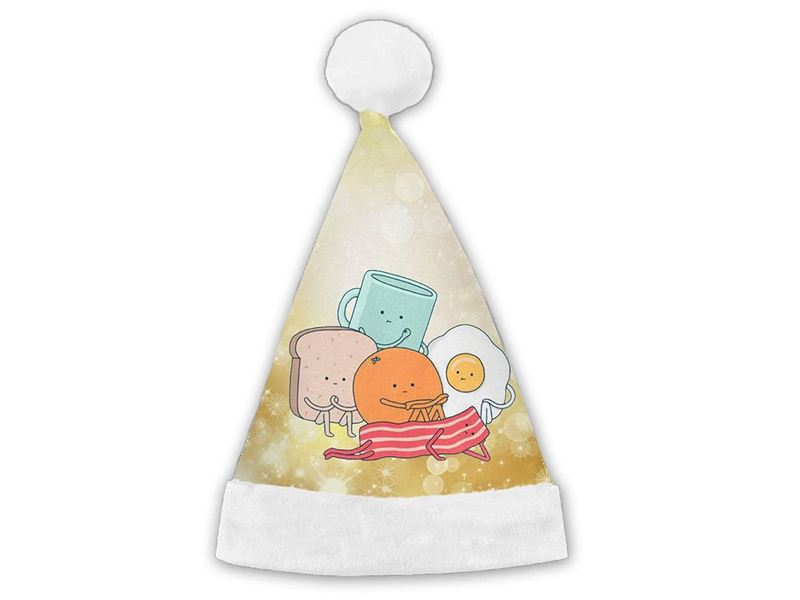 Another breakfast option: this charming hat features a personified coffee cup, slice of toast, orange, fried egg, and a strip of bacon, sitting around and waiting to be eaten. Or maybe protein doesn’t matter as much to you on Christmas morning, and you just want to eat sugar as soon as possible, because, as everyone knows, desserts on holidays don't count. 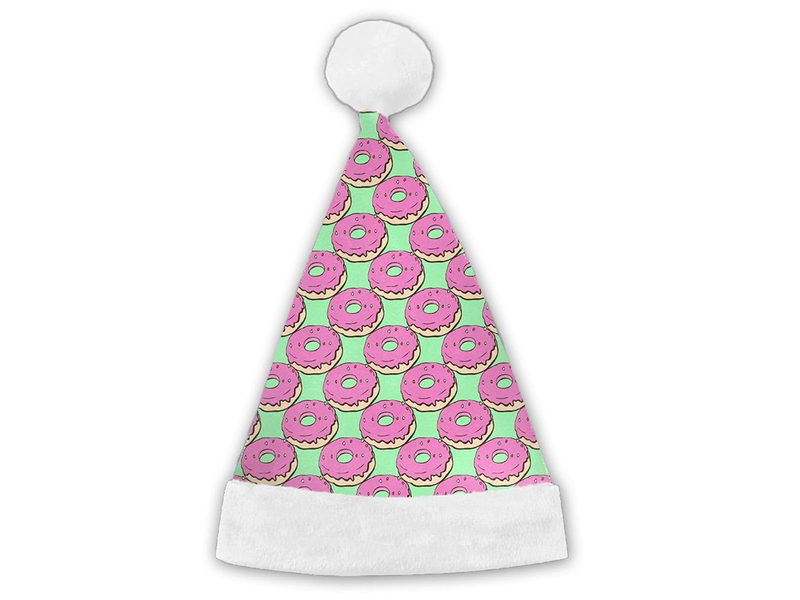 Show off your sweet tooth with this donut-covered Santa hat. For a similar effect, you can also go for this one, covered in smiling cupcakes. 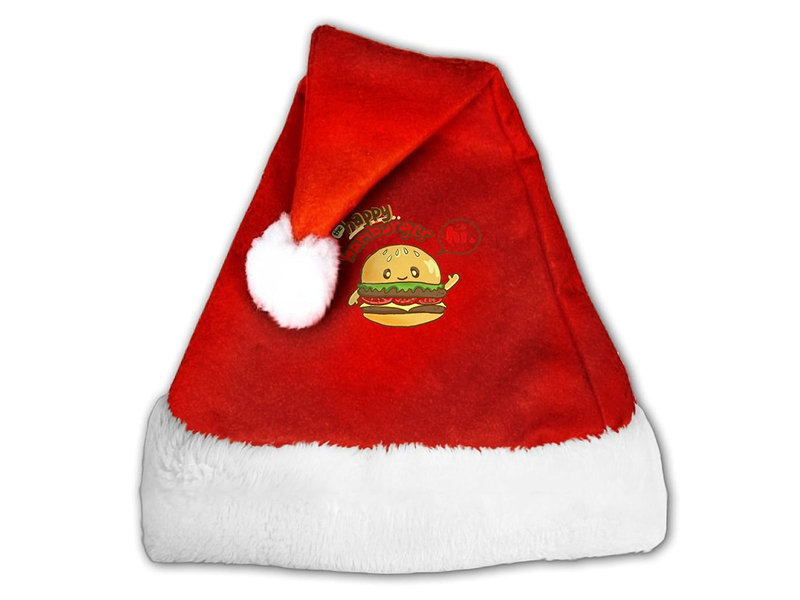 This delightful hat features a cartoon hamburger smiling, waving at you, and saying "hi." The hat helpfully labels it "the happy hamburger."